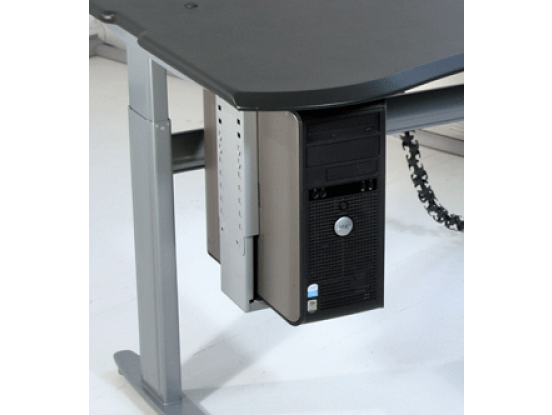 Integrate your CPU with your table. 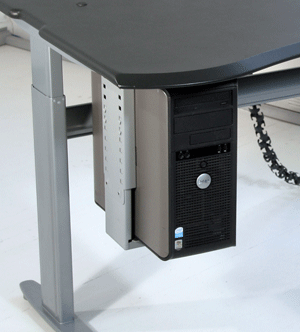 Mounts under table surface for easy access. Mounts left, right, or both sides of table. Width adjustment: 3"-8.5". Height adjustment: 10"-21". Silver steel construction with rubber bumpers for CPU. Location pilot holes are already in the Level2 desk for easy mounting. Color Silver.